Philadelphia rings in as the fifth largest city in the United States and the second largest on the east coast. It is the birthplace of the Declaration of Independence and the first capitol of ournation. The City of Brotherly Love is a hub rich with cultural diversity and art, and also home to some of the world’s largest companies. With such diversity, it’s no wonder that some of the nation’s most popular sports franchises call this city home. Philadelphia is also known around the world as the birthplace of the cheesesteak and soft pretzel, two iconic food items. With more than 4 million people calling the Greater Philadelphia metropolis home, and more residents and businesses moving in every year, there is a growing need for quality data recovery services for the city. 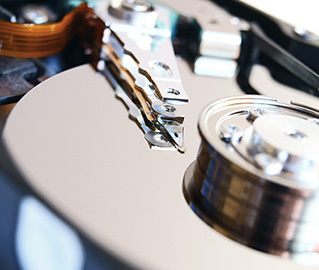 In the hustle and bustle of life in Philadelphia, there are many reasons why you might require data recovery, whether it’s for your laptop hard drive, a flash drive, smartphone, or any other form of digital storage device. Overwriting and accidentally erasing data can be frustrating and nerve-racking. Have you ever hit ‘delete’ and confirmed that for information on a flash drive? While it can be comforting to know that the data is still there until you overwrite it, retrieving it requires the services of a professional data recovery expert. What about the more common media device failures? Sometimes there won’t be any warning at all. You may turn on your computer and it won’t boot. It’s usually at that moment when you realize that you hadn’t backed up your files in several months and you feel as though you lost everything. That’s when panic can set it, but we want you to know that the data on your hard drive, flash drive, or other media device can likely be recovered, with the help of trained professionals. We offer free diagnostic services so that you will know right away whether the data can be recovered. We accept items shipped to our shop for your convenience. There’s no need to drive all over this great city and then struggling to find parking. Merely place your hard drive, flash drive, or other media device securely in a small box or container and mail it to Dave’s Computers. We’re conveniently located so that your precious data will arrive at our facility usually within a day and you’ll quickly know that your data is being recovered. Even if your media device is still operating, but is beginning to show some of the symptoms listed above, contact us so we can discuss repair or recovery options. We can retrieve your vital data, store it securely for you, and if possible, repair the device at the same time. Contact us to find out more about data recovery and how Dave’s Computers is the answer you were hoping for.